It is the first day of the Islamic month of Shawwal after the end of Holy month Ramadan, which is a month of fasting and prayer. It is a Muslim’s religious holiday celebrated in the whole world at the end of the month of Ramadan (Muslim’s holy month of fasting). The most glorious month of Ramadan was not just an abstention from food and drink but it is an exercise in patience. Eid-ul-Fitr is the special celebration for those Muslims who fasted and obeyed Almighty Allah’s rules and teachings and did constant ibadah of Allah Almighty. Eid ul Fitr is a day when the whole Muslim community comes together to share in each other’s joys and blessings. Eid al-Fitr was initiated by the prophet Muhammad (SAW). As the Prophet remarked that the Allah Almighty has fixed two days [of festivity] one of Eid al-Fitr and second Eid al-Adha. This Muslim’s festival was first time initiated in Medina after the migration of Muhammad (SAW) from Mecca. It is observed on the first day of the month of Shawwal after the month of Ramadan. There is no confirmed date of Eid-al-Fitr according to the Gregorian calendar exactly. Eid announcement made after a confirmed sighting of the new moon, either in Saudi Arabia or locally. Many Muslims of different communities, i.e. the east and west shores of the USA and Canada, may celebrate the Eid-al-Fitr on different dates. Many Muslims attend communal prayers and listen to a khutba (sermon) on the first day of Eid ul Fitr and give zakat al-Fitr. Zakat is a form of charity consisting of a quantity of food, such as wheat flour, or its fiscal equivalent given to the poor people of their areas. Eid ul Fitar special prayers are held outside or in large places, or some open places. 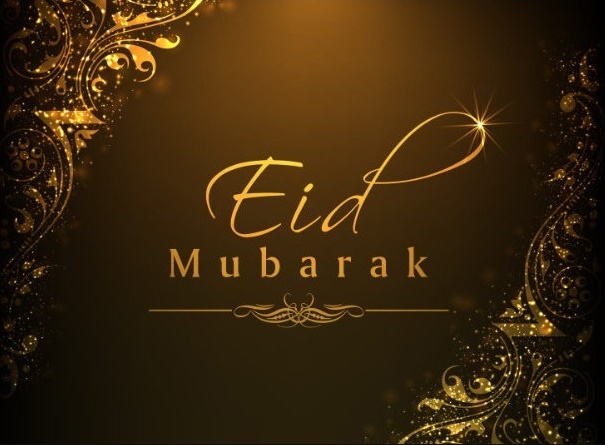 Muslims may also travel far to participate in these activities with their family members or for communal meals with their dear ones, on this day. Eid cards can also be sent, to each other often featuring the words “Eid Mubbarak” (blessed Eid). People looks busy in shopping and seeking for gifts for their near and dear ones before the Eid day. Bright lights from homes and shops illuminate the life of Muslims. On this day everybody spread happiness and social harmony by visiting friends and relatives and offers Dua for all those who have departed from the Duniya and also visit the elderly and the sick. Gifts are exchanged during Eid by young and old. Eid is a time where all kinds of festivities overcome.